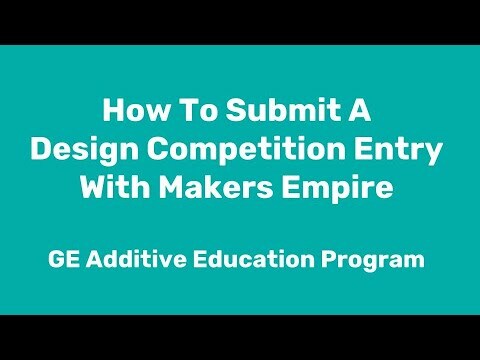 Makers Empire is excited to announce the first GE Additive Education Program Design Competition. This is a great opportunity to get your students designing and creating! The competition is open now and will close October 31st! See above for the competition design challenge. If your students are in years 9-12, there is an additional level of difficulty — the maze must have at least 2 levels and be functional with a 3mm ball bearing. So year 9-12 students must make the maze to scale so that a 3mm ball bearing can move through the maze and it must move through more than one level. We can’t wait to see the amazing designs your students create! How does the competition work? Students can submit a design from the Makers Empire app or via the Polar Cloud using the tag mazecomp2018. At the end of the competition, a winner will be selected. The winning design will be announced via a blog and social media post on the Makers Empire website. 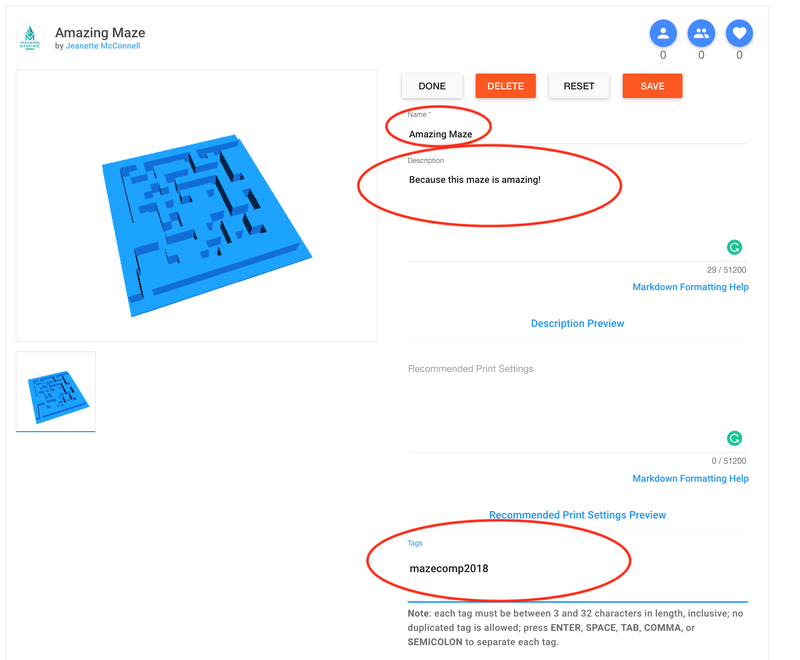 The winner will receive a GIANT 3D printed version of their maze. Watch the video or follow the step by step instructions below. Watch the video for guided instructions on how to enter the competition. Students should log in to their Makers Empire account, using their username and password, Google Classroom login, Schoology login or QR code login. 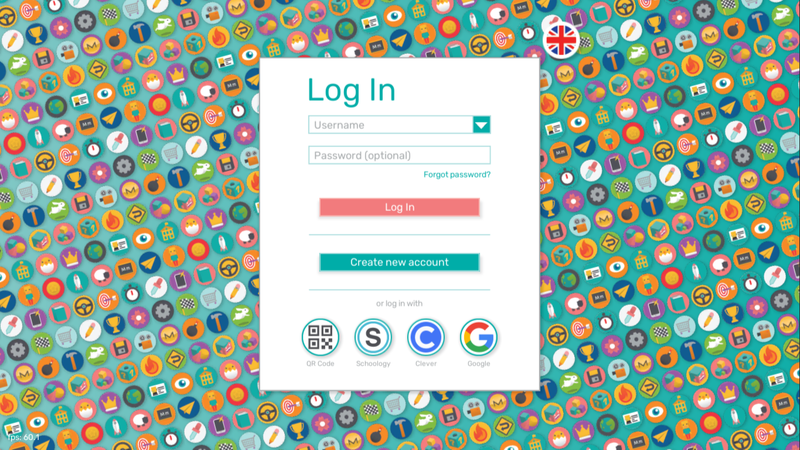 If your students are logging in for the first time, check out this handy guide to help them get set up. When students log into the Makers Empire app they will be directed to the ‘Training Lab’ in the Challenges tab. This is the area that has Tutorials and Challenges for students to complete to help them learn how to use the Makers Empire app. In order to navigate to the 3D World students must have completed the first 5 challenges. Once they have completed those first 5 challenges they will be able to click on the World icon and enter the 3D world. Once inside the 3D World students need to enter the Competition Arena. The Competition Arena is where you will find the GE AEP competition information. 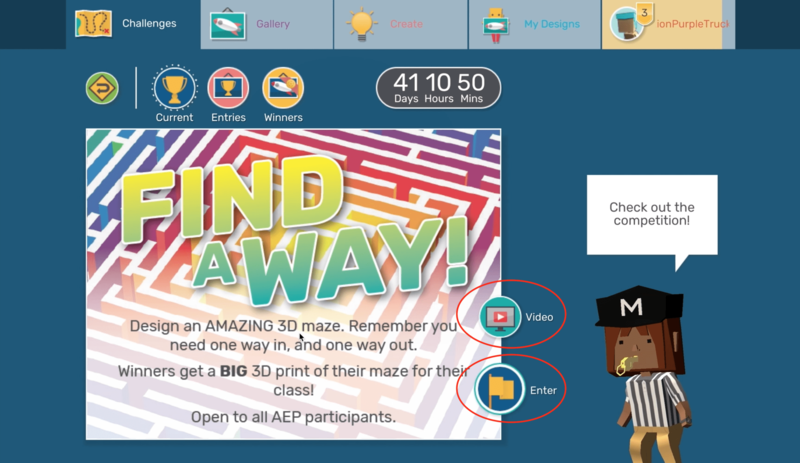 Students can read the design challenge and watch a help video to get inspired about creating a 3D maze. 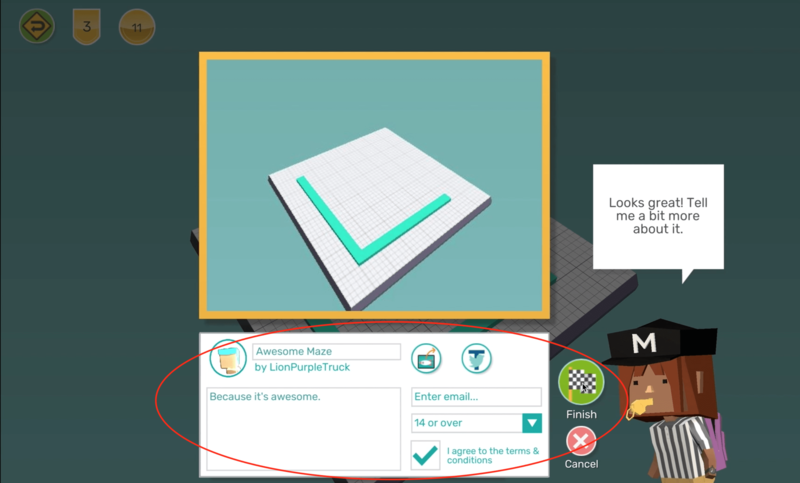 When the student is ready they just need to click Enter and will be taken to the Blocker design module where they can create their maze. 5. Submit a design into the competition! When a student has finished a design, they just need to click the ‘Enter’ button at the bottom of the screen. Then they will be taken to a page where they should give their design a title and write a sentence or two about why their design should win. It is not necessary to enter an email address, but students do need to select an age range and check the box to agree to the terms and conditions. Once they have done that, and clicked Finish the design will be automatically entered into the competition. Hooray! If you don’t want to submit your design via Makers Empire you can also submit a design that you have uploaded to the Polar Cloud. All you need to do is navigate to the design you want to submit within the Polar Cloud and click edit. Next, update the name and description for your design and finally add the tag mazecomp2018. 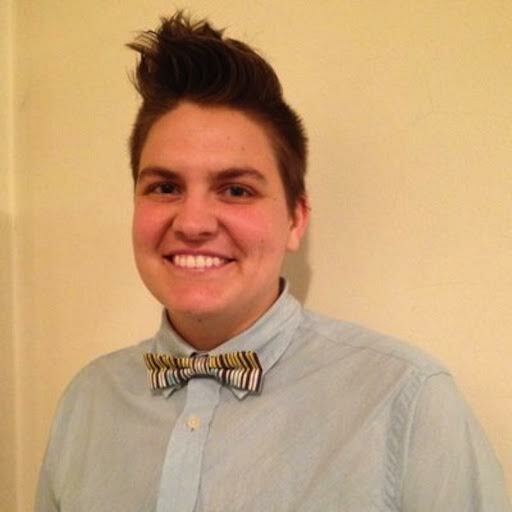 Jeanette McConnell, Ph.D. is a passionate educator with a strong scientific background. She earned a bachelors degree in biochemistry at San Diego State University and went on to earn a doctoral degree in chemistry at the University of NSW. Throughout her studies, she tutored her fellow students. Her experience presenting science shows and workshops to children convinced her of the value of a hands-on education. She believes Makers Empire is the way to make learning hands-on and harness the power of 3D printing technology in education. Makers Empire helps K-8 teachers teach Design Thinking, STEM and 21st-century learning skills using 3D printing. Our pioneering 3D solutions for schools include 3D modelling software, over 150 lesson plans aligned with international standards and professional development. With Makers Empire, engaged students learn how to solve real-world problems and make their world better.